We help people everyday by prayer and meeting people and going places to provide food and clothes. We extend open the doors to our home so people can have a place to stay for a night or two. We help people get established with a post office box so they can have an address. We give ideas where the best place to go to have a shower at. Where to go to get a good meal. 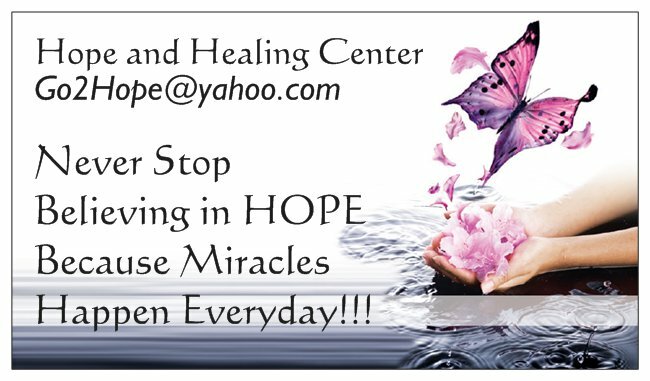 Our goal is to have a Hope and Healing Center where people can come in and receive help that they need. This is needed and I thank you for your love and prayers and your help. Thank you for blessing us and our efforts to spread Hope and Healing via text, email, Facebook, in person and throughout many generations. 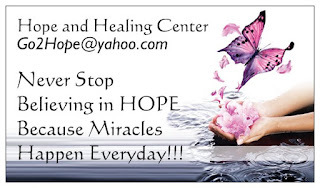 Never Stop Believing in HOPE Because Miracles Happen Everyday!!! Your gifts are a soothing aroma, a sacrifice that God accepts and with which He is pleased. 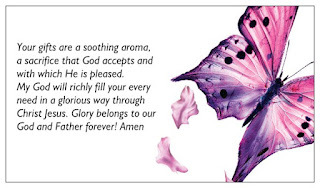 My God will richly fill your every need in a glorious way through Christ Jesus. Glory belongs to our God and Father forever! Amen.